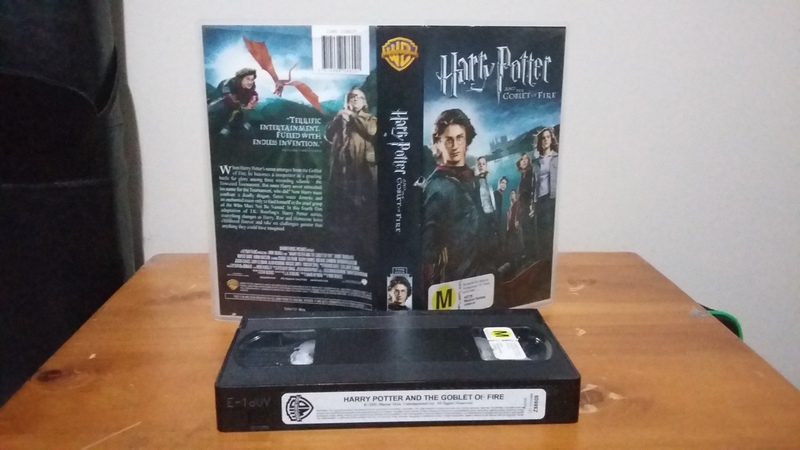 Not sure what the interest would be like for this, if any, but I came across a VHS of Goblet of Fire in a lot a couple of months back and only got around to capturing it today. I was surprised to find this cause I had never seen any other listings with it or even any info on it. Unlike Revenge of the Sith which was primarily in PAL regions for VHS, it looks like this never got a release anywhere else. Not sure if this was even in Australia cause the cover doesn’t have any AU ratings on it, just the NZ sticker, so it may have even been just a New Zealand release. Content wise, it’s not anything special, just the film in 4:3 format, though it’s interesting how it still has that “This is DVD” promo before the film, even though it would have been 5 years then since it was made.